It’s that time of the week again to unite the personal finance community with our ongoing Twitter chat sessions. This week I have @fiscalfizzle from Fiscal Fizzle co-hosting with me for this fun and fast paced chat. Sorry about last week, I had an event to go to, but I am back this week for a fun topic on Parenting and frugal ways to save. I personally am not at this point in my life, but plenty of you are, and it will be a great way to talk about being frugal with parenting and raising kids and preparing for the future. I know this is definitely a topic I can learn from to help me prepare for my own personal future down the road. The chat will start at 7 PM EST and you can join in or listen in on using the hashtag #bp. I know this week will be a fun and informative chat to start the sessions up again. Feel free to contact me at [email protected] or on Twitter if you have any questions at all. 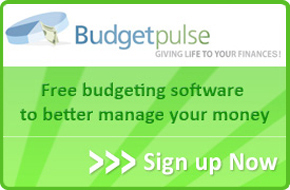 You can also check out our BudgetPulse Facebook Fan Page for information as well. I look forward to seeing you all there tonight!